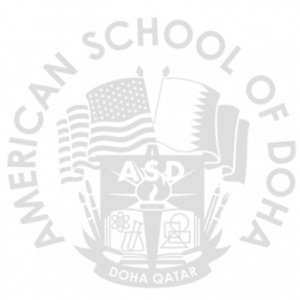 The American School of Doha (ASD) understands how important it is for our students to acquire the technological skills that will not only aid them in participating in today’s technological era, but to excel, be competitive, and become leaders in today’s globalized, competitive world. They must become innovative thinkers, be able to ask questions, research, and find solutions in response to the fastest changing industry in the world today. Technological education is central to all our lives today, and the development of technologically literate individuals throughout the school is a priority for us and to our students. The technologies provided by the school provide a platform that teachers use to engage students, present content, evaluate performance, and provide on-going feedback. Students are active participants in their own learning, striving for academic excellence, and exploring what it means to be a positive, active global citizen. Learning activities enhanced by technology aid students in becoming confident and competent in 21st-century technological skills, while also becoming capable of using technology tools to enhance their communication, information, resource gathering, as well as their presentation skills. In the High School, every student has a tablet pc, as well as access to powerful software and high-bandwidth internet services. Together teachers and students are committed to developing the intellectual tools to thrive in a rapidly changing world. All students use a program called OneNote, which allows them to receive class notes from their teachers in an organized manner, while also giving students the ability to write on these notes and share back any homework or feedback with their teachers. NVS is our Moodle site which gives our students access to their teachers’ curricular pages 24 hours a day and provides another way for students and teachers to communicate. Every ASD Middle School student is issued a school computer – Macs in Grades 6 and 7, and PCs in Grade 8. ASD provides access to powerful software and high-bandwidth internet services. Technology literacy skills are taught in their S.W.A.T. class, in core enrichment, and through computer classes in Grades 6 and 8. Students go through different levels of training on computer skills and robotics throughout the three years which prepares them to become highly skilled and ready for even more advanced classes in High School. Technology is integrated throughout the Upper Elementary School (UES) in many meaningful ways. Teachers carefully make use of our 1-1 laptop program (Chromebooks and MacBooks) to enhance learning as well as reinforce healthy digital habits and routines. All students have a technology class to learn proper keyboarding techniques and get support for learning with digital tools in their classrooms. A big emphasis is put on how students can become responsible digital citizens here at school and at home. The UES is currently involved in developing a MakerSpace. Through collaborative, creative and problem-solving activities students will engage in hands-on activities that enrich their curiosity. The MakerSpace will allow them opportunities to develop these skills and begin to understand how design thinking can help them create solutions. The MakerSpace is available to all classroom teachers to help supplement learning engagements throughout the year. Students in the UES also have opportunities after school to learn about programming and robotics through activities. Technology education at the Lower Elementary School (LES) is integrated into daily classroom instruction as needed, primarily through the use of iPads as a learning tool. We also provide weekly technology classes that focus on reinforcing classroom units of study and introduce coding and robotics at a beginner level. LES students have access to an excellent range of technology resources. Each classroom is also equipped with a SmartBoard and a digital document camera. 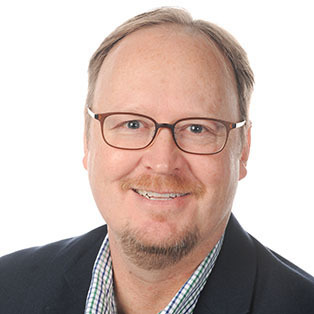 In addition, a considerate amount of time is dedicated to teaching students about what it means to be a digital citizen and how media can influence us. After school activities do vary, however, coding and robotics, digital music creation, and stop-motion animation are a few that have helped us teach our students how to create their own content with technology.